The Brain Research Institute Monash Sunway (BRIMS) is Monash University's main institute for neuroscience research and is led by one of the world's leading comparative neuroscientists Professor Ishwar Parhar. 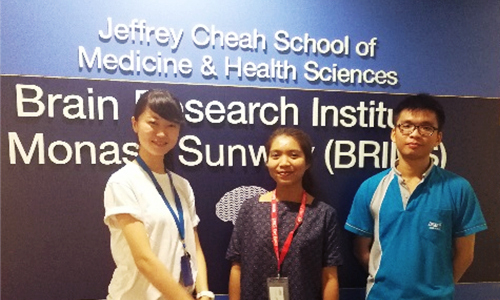 It has been operating since 2006 and is a component of the Jeffrey Cheah School of Medicine and Health Sciences at Monash University Malaysia. BRIMS, an internationally recognised platform of neuroscience research, is enthusiastically investigating the causes and possible treatments of addiction, depression, dementia, and autism. Our investigation further extends to the mechanism of cancer, and reproductive and infectious diseases. With a team of outstanding neuroscientists and state-of-the-art research infrastructure, BRIMS provides as an excellent platform for world class research and high quality training for human capital development.